Out of the many reunions that took place during the Thrones final season premiere, this moment was one to which fans most looked forward. 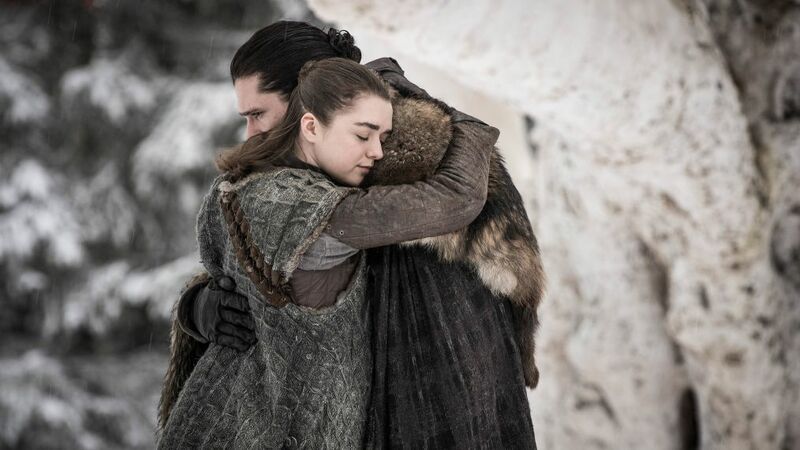 Jon (Kit Harington) and Arya (Maisie Williams) haven't seen each other since Season 1, and though they aren't technically siblings by birth, they never forget what's most important — family. After exiting in Season 7, star Steve Carell's absence was definitely felt. Thankfully, the actor returned for the series finale, giving viewers the perfect dose of nostalgia — and tears. In Jim's (John Krasinski) best prank ever, he leads Dwight (Rainn Wilson) to believe he can't be his best man because he's too young, but it's really because Michael (Carell) is there to support his friend on his wedding day. It was only six episodes, but that was enough for fans when it came to Jamie (Sam Heughan) and Claire's (Caitriona Balfe) separation. After fast-forwarding 20 years in both of their timelines, Claire finally returns to the 18th-century where her true love still resides. When Claire surprises Jamie at his printing shop, a minor fainting spell breaks the dramatic tension for a moment before fans finally get their long-awaited pay-off. Whoever said all reunions are happy never saw Breaking Bad's finale. Former partners in crime Walter White (Bryan Cranston) and Jesse Pinkman (Aaron Paul) come face to face after months of separation and it's not warm and fuzzy. After rescuing his former student, Walt asks Jesse to kill him, but the tortured young man opts out, telling the dying man to do it himself. In what was supposed to be Cameron Monaghan's final episode as Ian Gallagher, he enters prison to learn his on-again-off-again love Mickey (Noel Fisher) is his cell mate. Needless to say, shippers were more than thrilled with the possible end to Ian's story. Since the episode aired, it's been announced that both stars will appear as series regulars in Season 10. 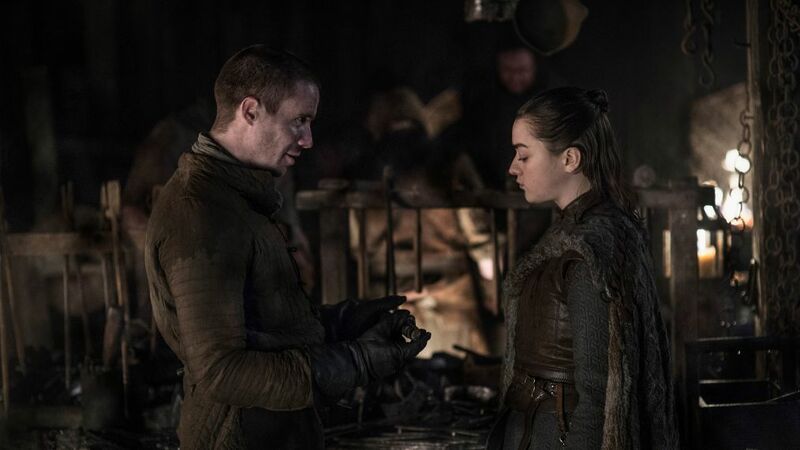 After seasons apart, Arya (Maisie Williams) and Gendry (Joe Dempsie) meet once again in the Season 8 premiere. Despite the time away, not too much has changed between the friends — except for the fact that Arya isn't the little tomboy Gendry met so many years ago. 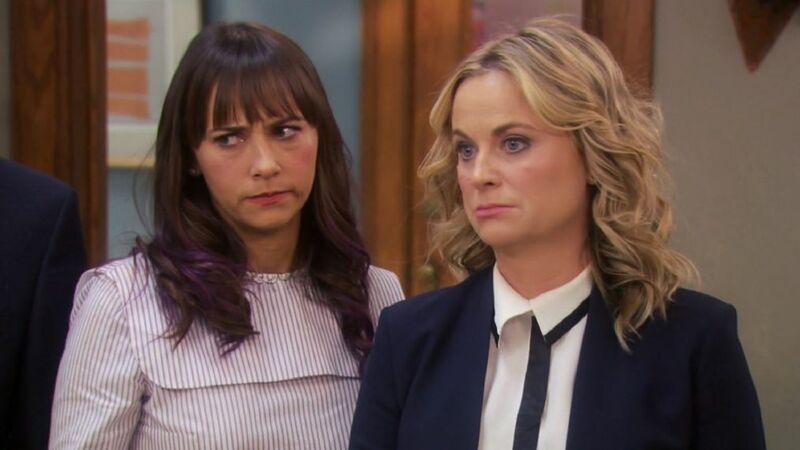 These ladies were besties from day one of the NBC series, so when Ann (Rashida Jones) left in Season 6, fans were nearly as distraught as Leslie (Amy Poehler). Thankfully, Ann made her Pawnee return in the final season to surprise Leslie and the rest of the Parks Department crew. After trekking through multiple worlds to reach her daughter, Maeve (Thandie Newton) finally reaches the young girl only to discover another host has assumed the role of her mother. The realization doesn't stop her from protecting the girl when Native American hosts arrive on horseback. Even if the moment was brief, the scene means a lot for the audience and character as Maeve's goal throughout the series had been to find her child. Even amid the mind-bending chaos that was ABC's Lost, the love between Penny (Sonya Walger) and Desmond (Henry Ian Cusick) couldn't be denied. After years of separation, the couple is reunited in the Season 4 finale and it brings out the waterworks, not in just the characters, but viewers as well. Reunions make up some of the best moments in TV, whether it's between lovers, foes, family or friends. In the Game of Thrones Season 8 premiere, fans were treated to a number of character reunions — in particular, Arya Stark (Maisie Williams) had a lot of people to reunite with — and in honor of that, we're rounding up some of the best in recent years. From comedies to favorite dramas, there's been no shortage of memorable onscreen reunions. Click through the images in the gallery above for a look back at the moments that make you want to cry, smile and laugh (sometimes all at once).